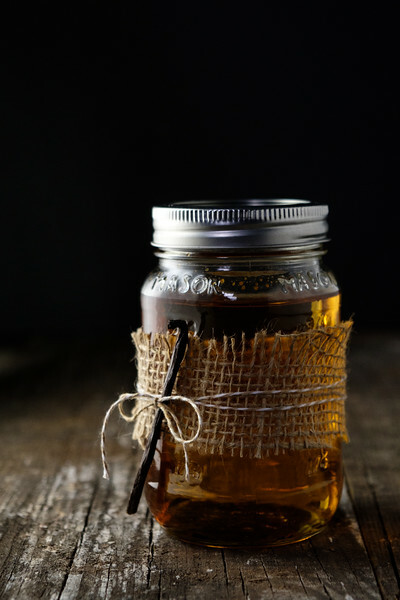 One of the best Infused Gin Recipes! 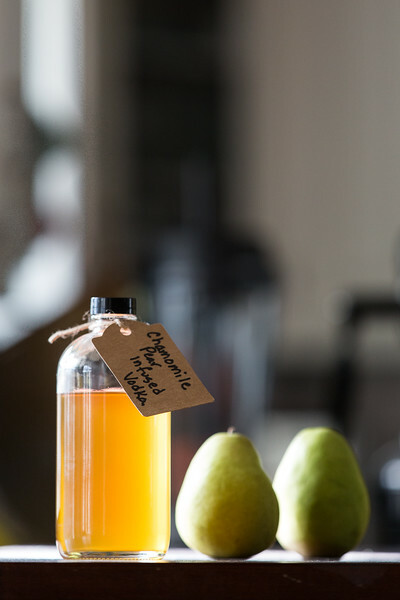 This Spicy Cucumber Infused Gin lives up to it’s promise. It’s spicy with a hint of cucumber making it perfect for refreshing cocktails with a little kick! There is something about warmer weather that makes me want to start infusing, canning, and preserving. It’s some instinct that runs deep. So, even though I had to go buy out of season cucumbers, I knew I wanted to make this Spicy Cucumber Gin from Infuse: Oil, Spirit, Water now. I had specifically marked 9 things to try in that book and somehow had only gotten around to making the Sriracha Honey Popcorn – which was wonderful, by the way. It’s funny, when I went to look up the link on Amazon, it told me that I had purchased the book last March 15th. Exactly a year ago! I told you that I start thinking about infusing right about now! 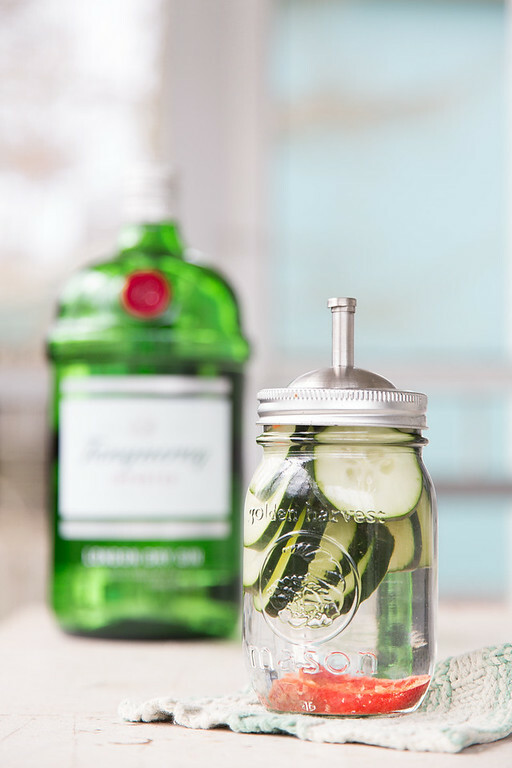 Click here to pin this Spicy Cucumber Infused Gin now! It’s so Easy to Infuse Gin! I don’t know why I waited a year to try this Spicy Cucumber Gin, because it is AH MAY ZING!! I love infusing because basically after you do a little chopping, time does all the work. In this case time doesn’t even have to do much work either, it only has to infuse for 12 hours. I actually let mine infuse for 24 hours, because you know – life got in the way! See it Next Weekend in a Cocktail! This was so good. It has a clean fresh green flavor from the cucumber and a subtle kick of heat that you feel after you swallow. This is going to be fantastic in some cocktails that I have planned for it. So check back next week, same time, same bat channel (yes that’s how old I am and you too if you get that reference). 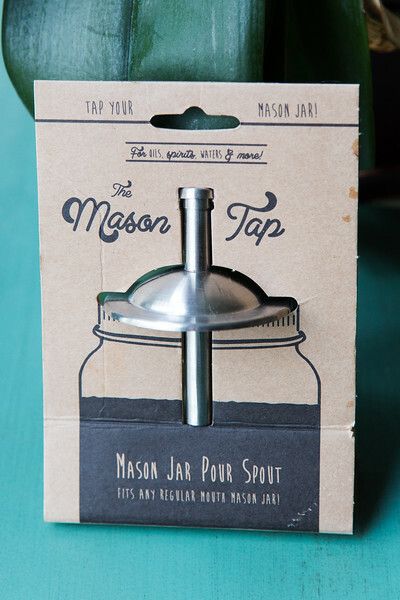 I can’t go without mentioning Mason Shaker The Mason Tap . I absolutely love this top for all my mason jar infusions. 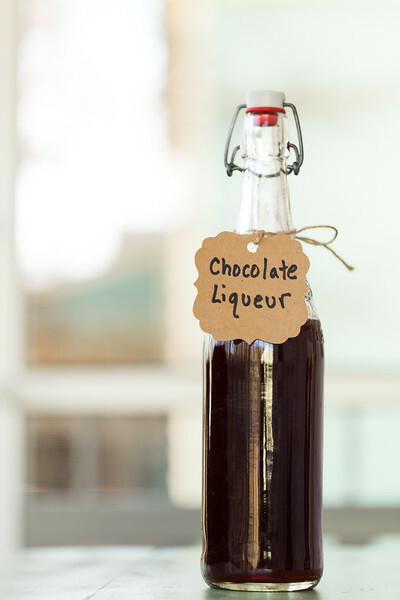 It makes it so easy to pour into shot glasses or small measuring cups. I use it with my infusions and with simple syrups. This easy Infused Gin Recipe uses cucumber and peppers to give gin a refreshing flavor with a kick of heat! Combine all of the ingredients into a 16 oz mason jar. Put on the lid and shake to distribute for about 3 seconds. Let it sit out at room temperature for 12 hours. Strain through a cheesecloth. The infusion will keep in the fridge for two weeks. 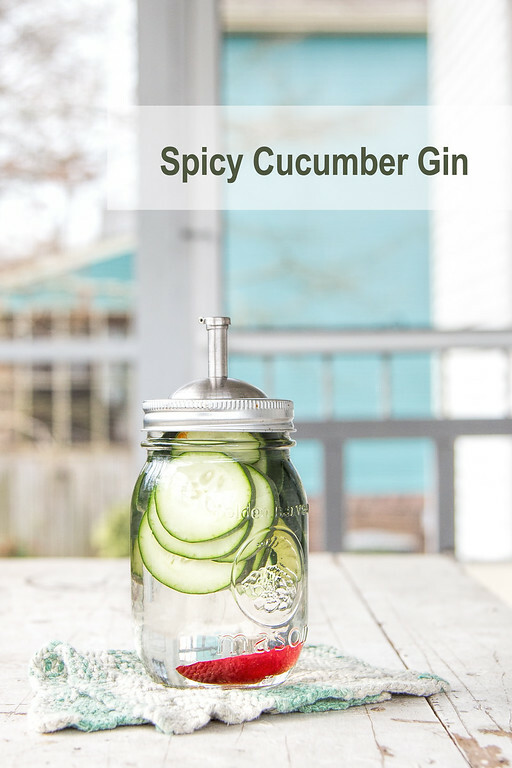 Gin has become my top favorite drink in the past few years, and this combination with the cucumber and jalapeno sounds interesting, pungent and refreshing. Gin has become my top favorite drink in the past few years, and this combination with the cucumber and jalapeno sounds interesting, pungent and refreshing. YUM! What an AMAZING idea! So YUMMY! Looks so vibrant and lovely. One of my favs. I can’t WAIT to try this. Thank you! this is the coolest idea! I’ve never made infused spirits before, but I absolutely love gin and cucumber so I reckon i’d be down for this combination! Sounds really amazing and perfect for summer! Never had infused Gin, but boy I’ll be trying this! This sounds so easy and fun! 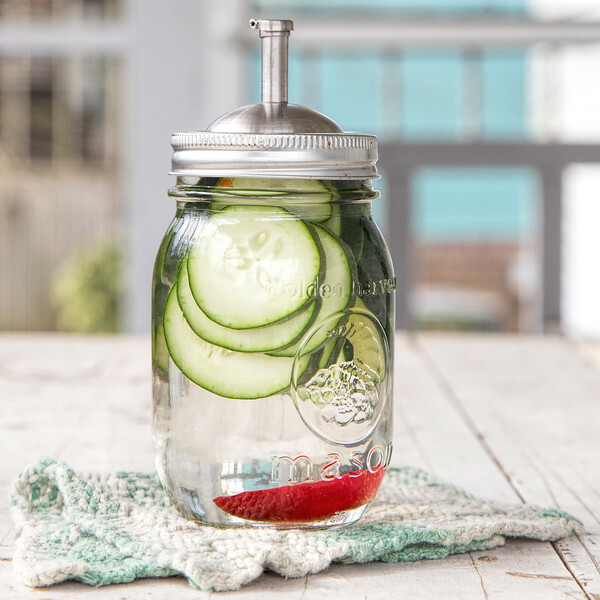 And the mason jar tap is a great little gadget! I need one!